Tucked away in a workshop, Lora Leedham creates beautifully handcrafted jewellery in the heart of Birmingham’s Historic Jewellery Quarter. 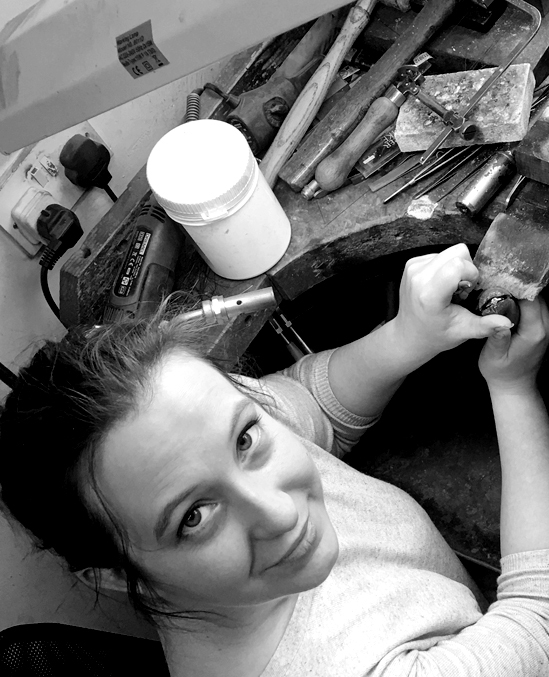 With over 10 years’ experience of creating bespoke handcrafted jewellery, Lora is also a fully qualified gemmologist, enabling her not only to ethically source certificated diamonds and coloured stones, but offer advice on choosing the perfect stone for your special piece. Everything is crafted to the highest standard in the workshop using silver, gold, palladium and platinum and stamped with Birmingham’s famous British hallmark.